SPEAR knows it is only as relevant as its next generation of leaders. That’s why SPEAR encourages the personal and professional growth of every member of its team. In fact, the NY Post, SmartCEO magazine and the APTA (the physical therapy industry’s national organization) recognized SPEAR’s leadership training program. 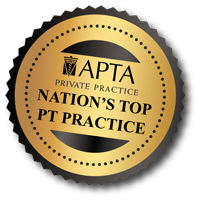 Whatever direction your career takes, this top-down commitment to targeting and nurturing therapists’ strengths is unique among physical therapy practices, and will be central to your experience as a member of the SPEAR team. SPEAR Co-founder and CEO Dan Rootenberg’s singular passion for making great people be even greater helped give life to the SPEAR Future Leader Program, or SFLP. This award-winning leadership development gives 10 applicants each year access to 12 months of best practices training in Management, Leadership, Operations, Financials, Business Development and Marketing Strategies. Responsible for nurturing superior leaders year after year, the SFLP is at the heart of professional development at SPEAR Physical Therapy. For those more interested in career development at the Clinical level, SPEAR offers a broad range of clinical teaching and program development opportunities. Highlights include a highly structured 1-on-1 mentorship program, an annual continuing education allowance and Medbridge membership, monthly Manual Workshops and more. Every member of the SPEAR team is integral to the practice, and guided toward achieving his/her personal best. Members of the Billing team, the Administration team—even Front Desk Clerks—are encouraged to strive to the heights of their positions, to work towards new, higher titles and elevated pay grades. If this sounds like a fit for you, check out our current openings. If you have additional questions, please email hr@spearcenter.com. Great luck with your career in Physical Therapy!